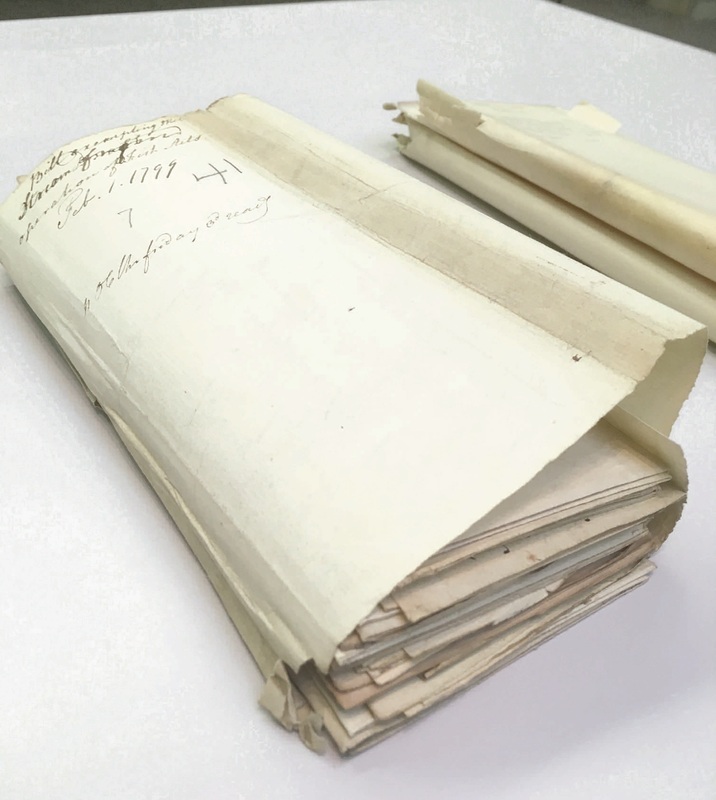 Original letters written by Stacy Blish and others, of Vassalborough, in 1799, submitted to the Massachusetts legislature. The decision of the governing body sealed the fate of the stream for more than 200 years, as numerous mills and factories were located along the banks of Mile Stream and little attention paid to its ecological health or fisheries. Photo of the letters from the State Archives, in Boston. Submitted by Landis Hudson, executive director Maine Rivers. Documents recently found in Massachusetts Archives have shed light on the early history of China Lake’s Outlet Stream, reconfirming the historic presence of native alewives. 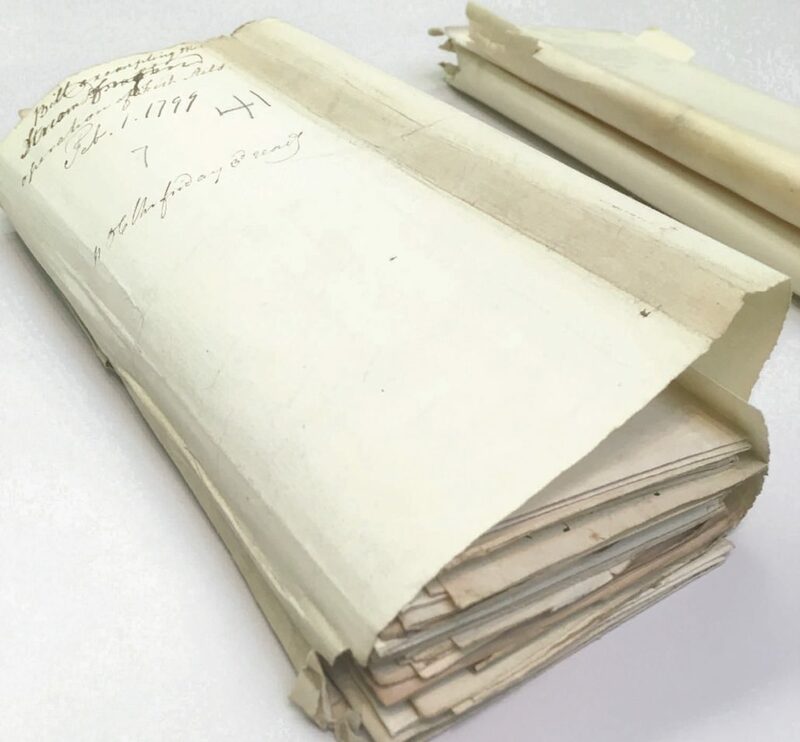 Petitions and letters, signed and dated from 1798 and 1799, state that alewives were known to make their way up the stream to China Lake, but the presence of sawmills and grist mills prevented the migratory fish from completing their journey to spawning areas. The letters and petitions were written requesting that the Outlet Stream be exempted from fish passage laws to allow water-powered industries to flourish. As was typical for the colonial period, smaller waterways like Outlet Stream were harnessed for power first because their flows were easier to control. Later, as the technology advanced, dams were built on larger rivers, like the former Edwards Dam on the Kennebec River, first built in 1837.
Letters and petitions from residents along the Outlet Stream were submitted in response to fish passage laws enacted in Massachusetts requiring dam owners to provide fish passage, due to local concerns about the declining populations of migratory fish, notably salmon, shad and alewives. In 1797, just one year before the residents along Outlet Stream sent in their letters and petitions, a law was passed requiring fish passage in Cumberland and Lincoln Counties. Maine was then a part of Massachusetts; records from this period can be found in Massachusetts State Archives, in Boston. The letters and petitions were successful and resulted in the passage of a law titled, “An Act Exempting Mile Stream in the Towns of Vassalborough, Winslow and Harlem from the Operations of All Laws Regulating the Salmon Shad and Alewife Fisheries in Said Towns.” This act sealed the fate of the stream for more than 200 years, as numerous mills and factories were located along its banks and little attention paid to its ecological health or fisheries.